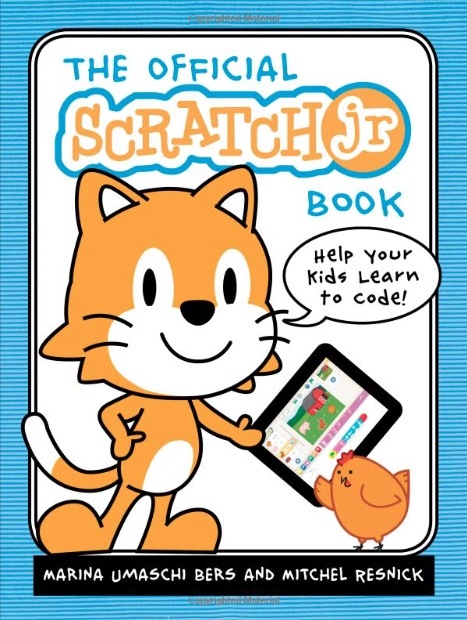 Help your kids learn to code with "The Official ScratchJr Book"
ScratchJr is a simple, free, tablet based programming language kids can use to make simple games and animations. The Official ScratchJr Book has been a great guide for my daughter and I.
I first heard about Scratch, when one of our attendees gave a brief show-and-tell on it at Boing Boing's Weekend of Wonder. It sounded pretty accessible. It came to mind again when recently, in an attempt to get my daughter to use the iPad for more than watching Bratayley, I decided to try and interest her in creating something. She loves art, but Minecraft was far too confusing for her and I was looking for another kid-friendly programming option. 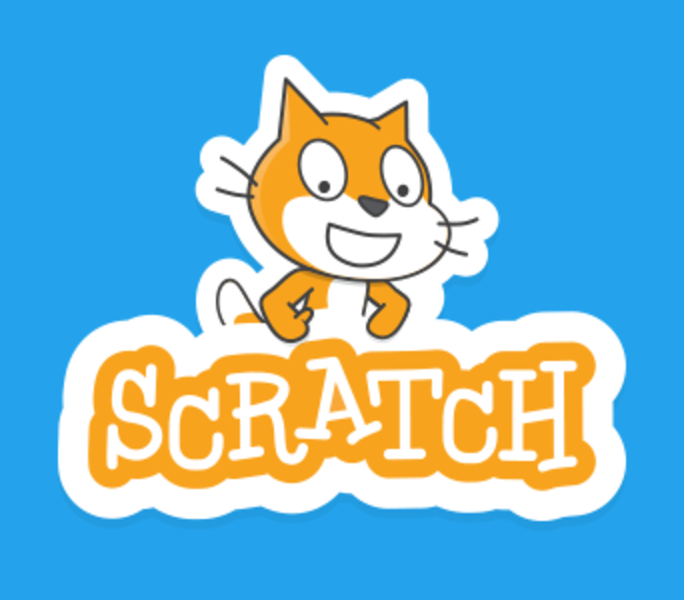 ScratchJr is a tablet based, even simpler version of Scratch, installing was as easy as any other app. The Official ScratchJr Book does a great job, with friendly illustrations, of walking us through the basics. My daughter prefers the painting and drawing of characters, and backgrounds, to the organization of blocks, but the book did a great job of walking us through it all. Having gone through the book together, once, she can now refer to it one her own, if she runs into a problem. Generally, her problem is me grabbing the tablet and adding things. I am not going to tell you we've made high art, but I think I could throw together a decent 1980's King's Quest parody. Kickstarting Scratchjr: Scratch programming for under-eights! Mitchel Resnick runs the MIT Media Lab's Lifelong Kindergarten lab, from which came the amazing, kid-friendly Scratch programming language. He writes, "We just launched a Kickstarter campaign for ScratchJr, an introductory programming language that enables young children (ages 5-7) to create their own interactive stories and games. As young children code with ScratchJr, they learn how to create and express themselves with the computer, not just interact with it. In the process, children develop design and problem-solving skills, and they use math and language in a meaningful and motivating context, supporting the development of early-childhood numeracy and literacy. 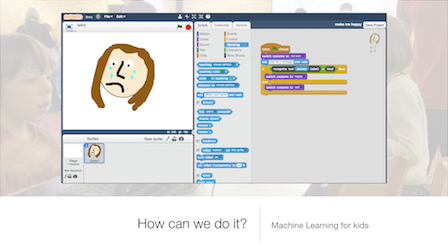 Scratch, an excellent and free drag-and-drop programming language for kids developed at MIT, has a new web-based interface. My 10-year-old daughter Jane uses it to create puzzles, games, and interactive cartoons. One thing I like about Scratch is that it's really hard to make a syntax or spelling mistake. The inevitable bugs that arise in a complex Scratch program are therefore more interesting to solve. Last year I reviewed a terrific introductory book called Super Scratch Programming Adventure!, which teaches Scratch through game programming. There's a new version of the book that covers the web-based Scratch 2, and it went on sale this week. Here's Mitch Resnick of the MIT Media Lab's Lifelong Kindergarten Group (whence the kids' programming language Scratch comes) doing a TedX talk about the role of programming in education.